“The rain in Spain falls mainly on the plain.” However, the rain in Jacksonville falls everywhere, every day, especially in early summer! Many of my sessions lately have consisted of jumping in the car with my clients and racing toward the closest rain free area on the radar. Thankfully every session has worked out and my senior session with Morgan was no different! Morgan and her family were in St Augustine on vacation from their home state of Nebraska. They booked one of my glamorous senior packages which includes a full day of fun beginning with hair and makeup at a Salon, 6 hours of shooting time and a sunrise session the following morning. After having her hair and makeup done at the amazing Luna Azul Salon , we were all really hoping that the rain would let up but the crazy storms persisted. So we all piled into her dad’s car and started to head out of St. Augustine. Fortunately, on our way out of town, we hit a pocket with no rain! By jumping around town throughout the day we were able to avoid the rain altogether and capture some amazing photos for Morgan. I LOVE my senior sessions, and I’m always up for anything to get unique shots for each of my seniors. One of my favorite places to hit up is the Marina where rows of million-dollar yachts are moored. Somehow we lucked out and one of the owners invited Morgan to get photos ON his yacht. Of course, we jumped at the chance! Then we somehow ran into a couple of intoxicated (and a little handsy) pirates who begged for a picture with her. If nothing else, Morgan’s session will absolutely be memorable! 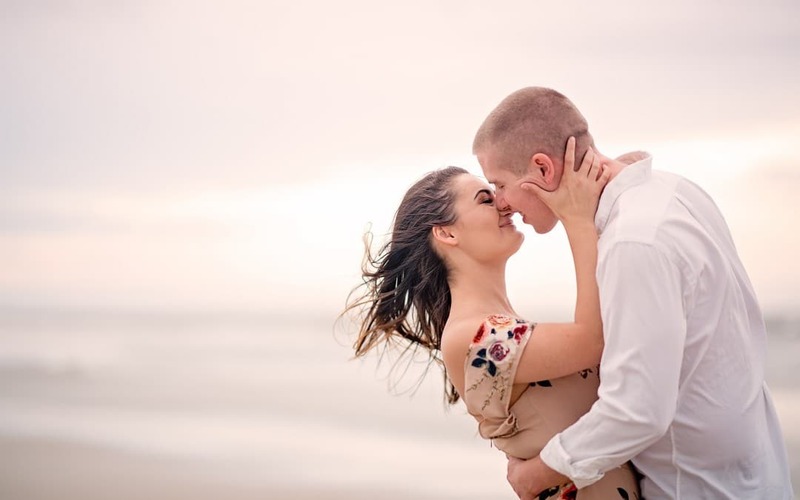 We managed to hit up all of St. Augustines best attractions including Castillo de San Marcos, the Carousel, the Bridge of Lions and we ended up at the beach – because it’s the place to be when you’re a girl from Nebraska getting her senior photos in St. Augustine. Morgan absolutely slayed her senior portraits with the perfect outfit combinations for each location. I love the way her images turned out.